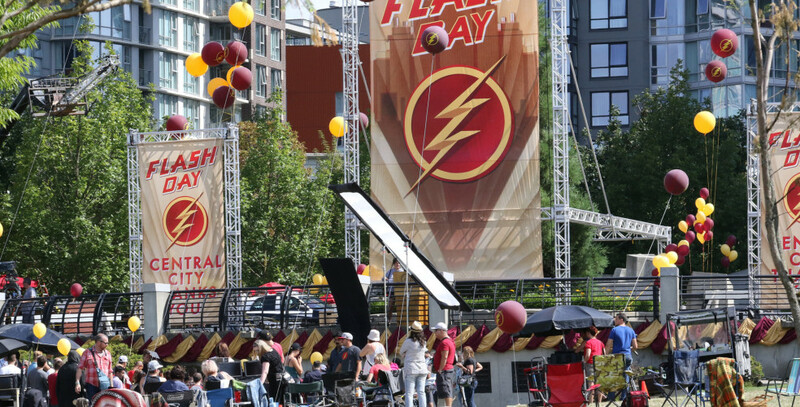 Twitter’s @pursuit23 got some photos of The Flash season 2 premiere filming – and it appears that The Flash is now a hero in Central City! Here’s a photo of the festivities from the season premiere shoot. More photos from @pursuit23 can be found at VanCityBuzz. 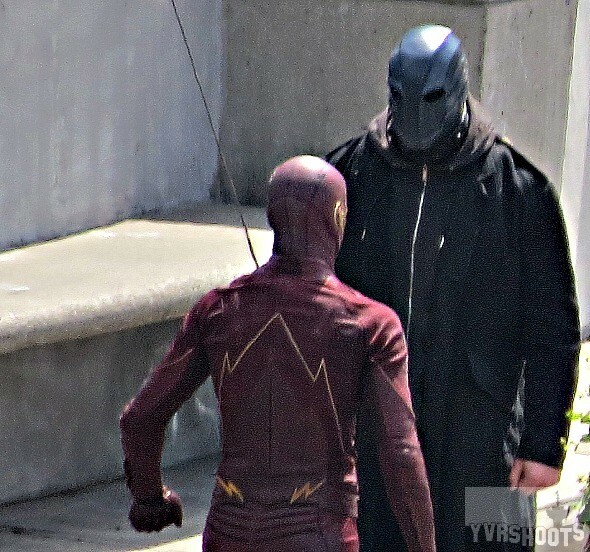 YVRShoots also got into the action with some photos, including shots of a helmeted villain that Barry will face in the premiere. Any ideas on who this guy might be? If it was Marvel, we’d guess “The Gladiator,” but since it’s not, we’re at a loss. You can find YVRShoots’ photos here. The Flash Season 2 premieres October 6 on The CW. The actor in the helmet is Edge from the WWE. Somebody on instagram posted a picture they took from the set.